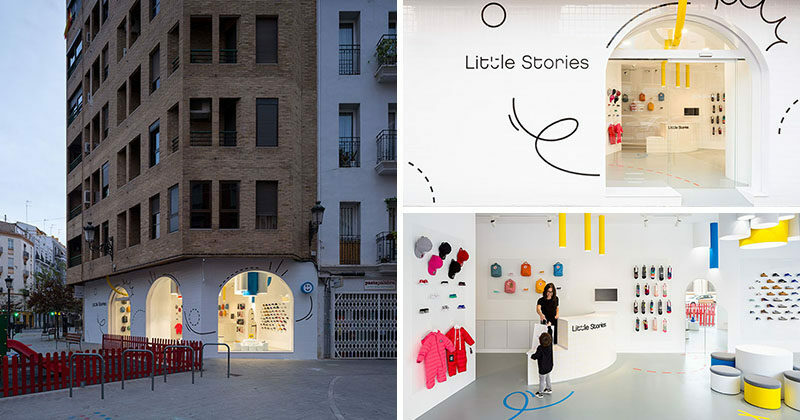 Creative firm CLAP Studio have designed “Little Stories,” a modern children’s shoe store in Valencia, Spain, that stands out on the street with its bright white facade and interior. 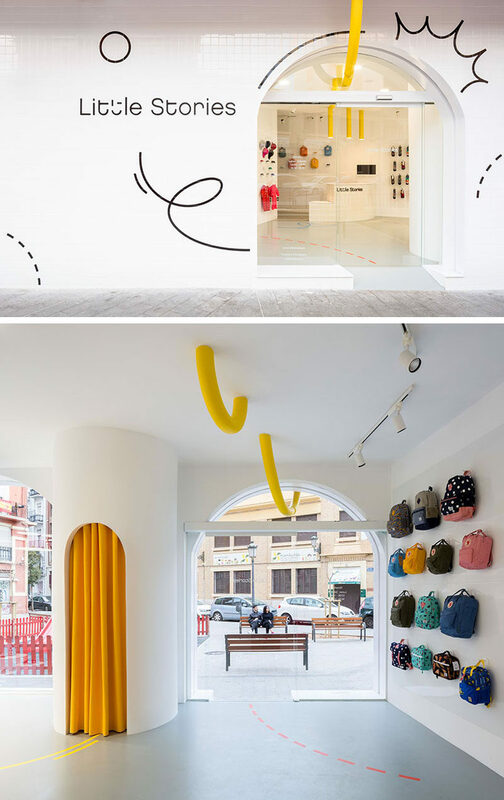 Fun graphics, a sans serif font and a yellow pipe are featured on the exterior of the store and guide you inside. Once inside, the bright white interior is filled with natural light from the large windows, and additional tube lights hang from the ceiling. 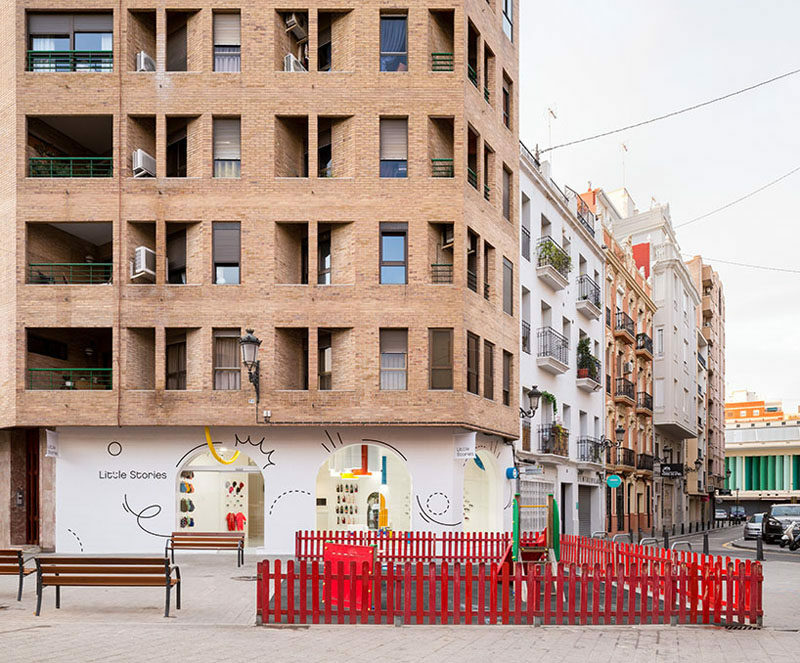 Pops of color are used to add a fun touch to the interior. Magnetic display plates on the walls and movable stands on the floor allow the design and layout to be changed when needed. A curved sales counter complements the curved shapes of the lighting and display units, while the colorful clothing, shoes and accessories ‘pop’ against the white background, drawing the eye of potential customers.